Oval outdoor coupe sconce in dark bronze, with conforming off white oval glass shade. 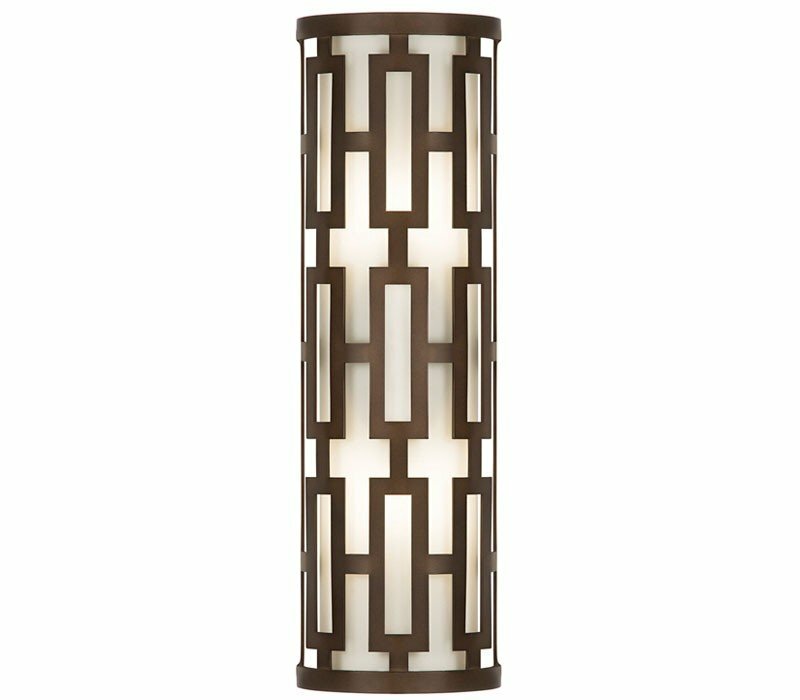 The Fine Art Lamps 840081 River Oaks collection Sconce Wall Lighting in Dark Bronze uses Incandescent light output and brings Contemporary style. This item is 22"H x 7"W x 3.5"D. The total wattage is 120 and the voltage is 120 volts. The Fine Art Lamps 840081 requires 2 bulbs (not included). 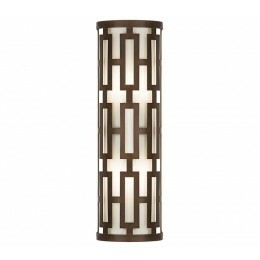 Additional Information: Shade-Oval White Glass Shade.